Over the last week with Valentine’s Day included I worked on an art therapy project with most all of my clients entitled I Love Me. Valentine’s is generally about someone else loving us or that we are loving someone else. It is almost never about loving ourselves. In fact, loving ourselves isn’t something many of us do with any regularity. We are very good at not loving ourselves. When we look in the mirror, we almost always find faults with ourselves. Things we do not love about ourselves. In our automatic thoughts, we are generally focused on the negative about ourselves. We think that these thoughts are our own but they all start somewhere else. Let me repeat that, all negative thoughts we have about ourselves start somewhere else. They come from what others say or don’t say, what others do or don’t do, what social media provides, etc. Not one of them originated in our own minds…not one. But these are what we think about, not loving ourselves. When I came up with this project I thought it would be easy to think of six things I loved about myself. It was not easy. In fact, it took several days. The rules were that it couldn’t be something someone else has said they love about it and it couldn’t be something I think in relation to others. It had to be exclusively, only about me loving me. Not an easy thing to do. But eventually I did it. Working through the week with clients I found that most had similar difficulty coming up with their own six things. Some had trouble coming up with even a single thing. So ingrained are the things we think we don’t love about ourselves that seeing anything we do love is almost impossible sometimes. We even weigh the things we do come up with against our ingrained lies. As if we do not deserve to love ourselves for anything. Another lie. As the week went on and after several clients, I found that the pathway I had opened to things I love about myself that more things then came to my mind. Once we allow our brains to move in a different direction, it will find more information along the way and bring it to our attention. Once we push aside the negative and the lies, we discover that there is truth to be discovered if we can only allow ourselves to see it and then to accept it. What do you love about yourself? Is it difficult to find? Do you have to have a discussion with yourself against the negative and the lies to feel that you can love anything about yourself? I know it can be difficult because we don’t get up in the morning and look in the mirror and say to ourselves, “I love this about me or that about me.” But we should. Take a few minutes after reading this and truly think about the things you love about you. Do you love your sense of humor, your courage, your creativity, your determination, or any number of other things about you? Write them down, put them where you can see them daily, repeat them to yourself, and add to them as more of them come to your mind. 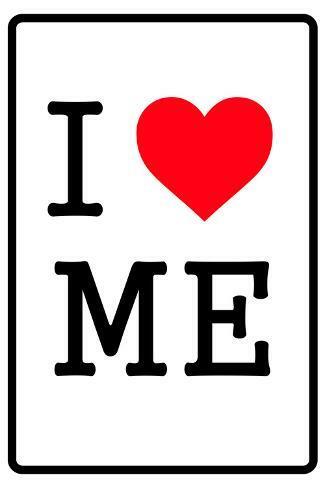 Say to yourself daily, I Love Me. I am currently accepting new clients (girls and women) for counseling. Call 406-413-9904 or email mindfulmontanawellness@gmail.com to set up a FREE initial consultation appointment. As humans, we are so very quick to criticize ourselves, have less faith in ourselves, create negative beliefs about ourselves. We are even more quick to allow others to criticize us, lose faith in us, say negative things about us. The negative is easy. It’s like slipping into a stretched out pair of old sweatpants – it’s easy. We become comfortable there. We believe it is who we are and what we deserve no matter what good things we are doing, believing, creating. If we spent even one tenth of the time that we spend on putting on the negative on the positive things about ourselves our lives would look completely different. We would be amazed at the positiveness of our lives, of our minds, of our spirits. When we focus on the negative our focus becomes negative. It prevents us from recognizing the positive in ourselves and in others. What we slip into is what we become. For just one moment, think of one positive thing about yourself. It can be anything. A part of your personality, something you are good at, anything you do well, choices you have made, anything that is even minimally positive, anything that creates even minimal steps forward, anything that makes you smile and feel good about yourself. Every time you do something make a positive choice, that you choose to be kind, that you accomplish anything and anything can be as simple as getting out of bed, when you think something positive instead of negative, when you feel good about anything you do or anything you don’t do. If you do something well at school or at your job be proud. If you choose to get up and get dressed be proud. If you choose forgiveness over anger be proud. If you choose to be positive instead of negative be proud. Acknowledge yourself. Pay attention to your positive self. Notice each individual good no matter how small. Allow yourself to be proud of you. It is okay to be proud of yourself. In fact, it is necessary for a positive life. If you are always waiting, looking, expecting to find someone else to be proud of you until you can feel proud and happy you need to stop and look at yourself. Be proud of yourself – not just in the big things – but in everything.